The Jayhawks On World Cafe : World Cafe The alt-country group returns to World Cafe on the heels of its new album, Mockingbird Time. "She Walks In So Many Ways"
Since getting together in Minneapolis in 1985, The Jayhawks' members have ranked among the most lauded figures in alternative country, having perfected their bar-band style with years of touring and inspiration from Gram Parsons, The Louvin Brothers, Tim Hardin and Bob Dylan. Quickly becoming a local favorite, The Jayhawks' hard Americana soon spread across the country, with records that offer beautiful and distinctive explorations in country rock. 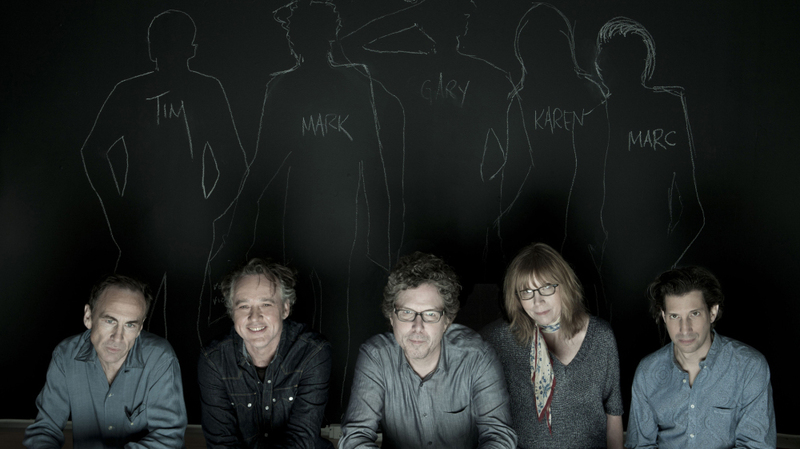 At The Jayhawks' core is the dual talent of Gary Louris and Mark Olson, whose impeccable guitar lines, smooth harmonies and songwriting capabilities rival that of just about any other group. After a hiatus, the band recently returned with Mockingbird Time, its first album in eight years. The new release also marks the return of Olson, who left the group in 1995. The Jayhawks' members perform live from the World Cafe studios on today's show.